It is the same group of German students who predicted the death of Tommen Baratheon in 2016, which turned out to be true, to predict the survival and death of characters in the final season of Game Of Thrones. 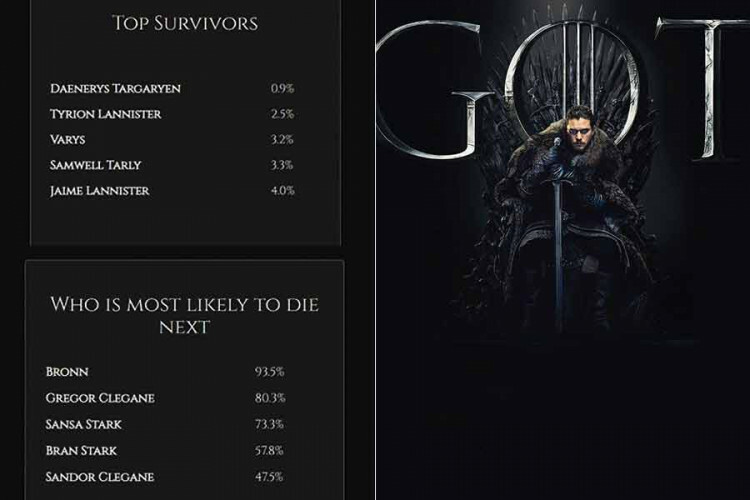 The students of the Technical University of Munich have created an algorithm to predict who'll die in the final season. And as they predicted, Daenerys Targaryen is most likely to survive while Bronn will die.